The Natalia bracelet gives one nod to Egyptian design and the other to 1920s style. 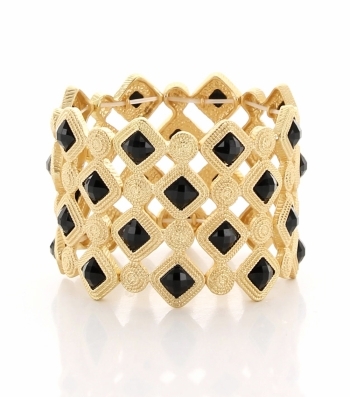 Featuring a gold-plated textured structure inlaid with a pattern of noir resin stones across a comfortable stretch. An enrapturing piece for day or night. Buy from the hottest range of online bracelets for women right here at Oz Bling.